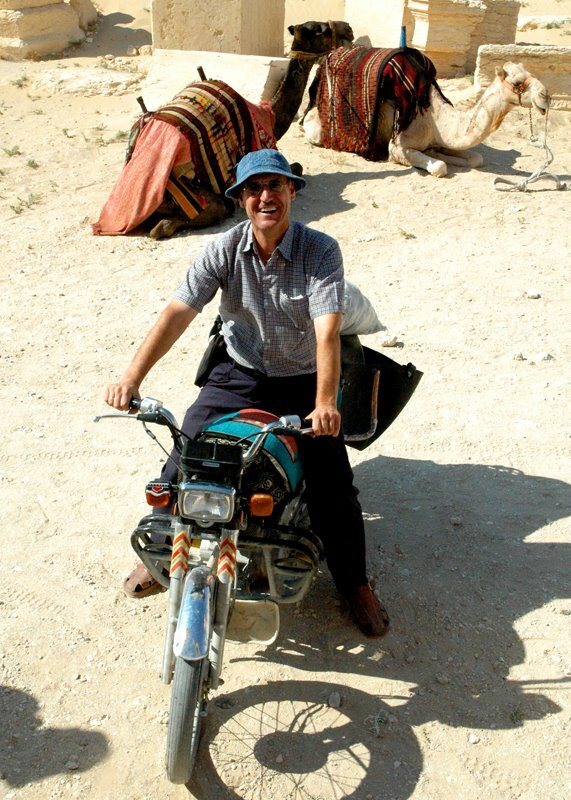 Back in 2005, I took a career break and worked as a tour leader for Explore Worldwide. I was a lucky so-and-so and got posted to the Middle East, to Lebanon, Syria and Jordan. It breaks my heart that a country as beguiling, packed full of treasures and with such warm people is now being torn apart, with no end in sight. My local guide in Syria was Saad. He was my total right-hand man. To be honest, I was really his sidekick, as he did all the history bits and whenever I had an issue to sort out, it was him that talked to fellow Syrians in hotels/restaurants to solve things. Saad, a man in desperate need. Saad lives with his family in Damascus. Since the war began more than two years ago, Saad’s life has been devastated. He has not been able to work and all his money is now gone. There is no water and only rarely electricity. He has a wife and children who he can’t support. Explore Worldwide is trying to help him by collecting money that will go directly to him. At a time when it is hard to know how to help anyone in Syria, here is a chance to help one family for real. If you can afford a spare couple of quid to help Saad and his family, please chip in to bank a/c: Explore Appeal Fund. a/c no: 00192082, sort code: 20-35-35 quoting reference ‘Syria’. Explore’s integrity on this is rock solid – for once, here is a way of knowing that money will really help a family in need in a war torn country. Here is the Explore Facebook page if you want to check out the appeal.